Mr. Hare is a research/extension soil scientist and grant administrator with over 15 years of excellent leadership, management and land-grant University experience in the specialty areas of nutrients and water management in small and urban farm systems for Global Food Security. He is also a Fulbright Scholar, with graduate studies at the University of Kentucky (Ph.D.) and Purdue University (MSc. ), currently serves as Associate Dean/Director for Land-grant Programs in the College of Agriculture, Urban Sustainability and Environmental Science (CAUSES) at the University of the District of Columbia (UDC). Mr. Hare is responsible for building capacity and managing the integration of research (Agriculture Experiment Station) and community education (Cooperative Extension Service) in four Centers, Center for Urban Agriculture and Gardening Education, the Center for Sustainable Development, Center for Nutrition Diet and Health, and Center for 4-H and Youth Development as well as three Institutes, Water Resources Research Institute, Architecture Research Institute and Institute for gerontology. He previously served as Associate Dean/Director of the Cooperative Extension Service and Director of the DC Water Resources Research Institute at UDC for over 12 years. He represented the Northeast Region of Extension Directors on the Board of Trustees of the National 4-H Council for four years and currently serve on the Board of Directors of the NE Regional Aquaculture Center. Mr. Hare is serving a four-year term on the governing Board of the National Extension System (Extension Committee on Organization and Policy) for all Land-grant Universities. 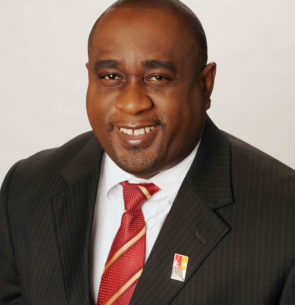 He is also Chairman, Board of Directors, Guinean Alliance for Education and Development and President, Cuttington University Alumni Association in the Americas. His research interest includes enhancing crop nutrient density through water and nutrient use efficiency of Ethnic and Specialty Crops as a profitable food niche in urban agriculture market for small and minority farmers in the Mid-Atlantic Region specifically and to enhance global food security. He is interested in strengthening informal community educational or extension programs in developing countries and to train the next generation of global farmers that produce energy, water and food for sustainable community development of healthy global citizens.